Visit us at healthcare conferences across the U.S. See where we'll be next! We offer a specialty-specific EHR with a simple workflow. Complete notes with a few simple clicks and manage patient care efficiently. We offer a fully-integrated billing system. Submit claims electronically and automatically from within your EHR and get paid on time. We offer expert-driven revenue cycle management services that drive financial success. Spend more time with patients, worry less about getting paid. 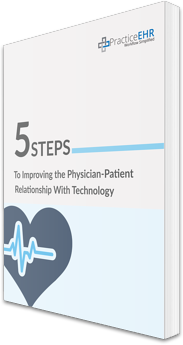 Download our FREE eBook to improve your overall physician-patient relationship through the use of technology. "Our office began using “Practice EHR” after a short trial period. It has enabled us to capture all the patient information and billing we may have missed in the past. Practice EHR has eliminated large amounts of time consuming paper work, and in addition it has given me greater control over the practice. Also visual cues inform me of patient, and practice progress. We have been using “Practice EHR” since January 12, 2016, and are very happy with the program." "Practice EHR is a very efficient EHR system. Very user-friendly and easy to learn. Highly recommended." 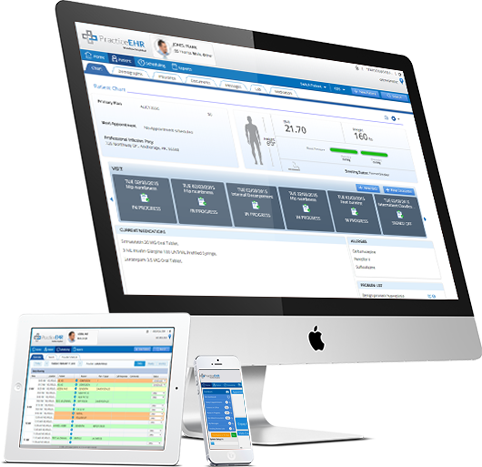 "I cannot begin to describe how this EHR system has improved my medical practice. Besides being so efficient, I am able to spend quality time with my patients instead of worrying about handwritten notes, appointment mistakes and missing documents. The team and technical support is superior to any other EHR system I have used and they are always available to answer any questions and concerns. I highly recommend this system to any busy medical practice!"